We believe that being a concrete contractor is serious business. That’s why we only hire skilled craftsmen to build the frames, mix the concrete, pour it and cure it in the Wausau and Rothschild area. Looking for concrete contractors in the Wausau and Rothschild area that you can trust? We use the best quality materials, mix in the right amounts and pour only during the optimal conditions to assure a quality finished concrete product. From start to finish we make sure that no matter the size of the concrete project, the end result is something that we all can be proud of for years to come. We cut no corners, make no mistakes and ensure that your finished concrete project is exactly what you wanted, finished and cured in the exact way you specified. From floors to foundations, we have the staff, equipment, knowledge and experience in the Wausau and Rothschild area to get the concrete contracting done right with no delays or errors. We know that a concrete construction is a one-and-done affair, and as your concrete contractor, we will plan and execute your project with pinpoint accuracy and precision. From foundations to parking spaces, we have experience of every type of concrete contracting project that is out there. We only use the best craftsmen and the best concrete materials for the job, so you can be guaranteed that the end result is something that will last, look good and be functional no matter the budget! As an experienced concrete company, we have a wealth of background with every size of project and no job is too big or too small. 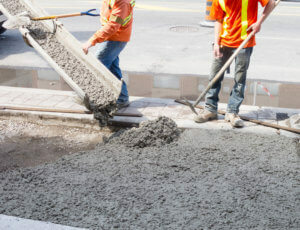 If you need a dependable and reliable concrete contractor for your next concrete project around Wausau and Rothschild, contact us today for your initial consultation. We’re here to answer all your questions and concerns and will make sure it’s done right the first time, every time! Every project that becomes a reality starts by taking one small step to make it happen. Contact us today to talk about your concrete project and how to get started. Our consultation is free, so schedule yours today. There’s no time like the present.